With so many different types of baby monitors on the market, it can get confusing to know what is the best kind for your family. Many options are more advanced, and while they may seem like the better choice, they may not be. There are reports from the Journal of the American Medical Association that warn specifically against parents using newer "smart" baby monitors that sync to their smartphone, to warn if their baby stops breathing. What's the danger in these options? How Do Wearable Baby Monitors Work? Wearable baby monitors are designed to monitor a baby's heart rate and breathing and alert parents or caregivers if their baby stops breathing. For example, the Owlet sock monitor and other options are pulse saturation technology, similar to what you would find in a hospital. These are designed to be as accurate as possible and not alert a parent unless it's a true emergency. Because newborns have irregular breathing, this is a common issue most monitors try to address. Many parents use wearable monitors for peace of mind, but the monitors do also pose a risk if they fall off or become faulty. How Do Non-Contact Monitors Work? Non-contact baby monitors are devices that do not actually touch your baby. 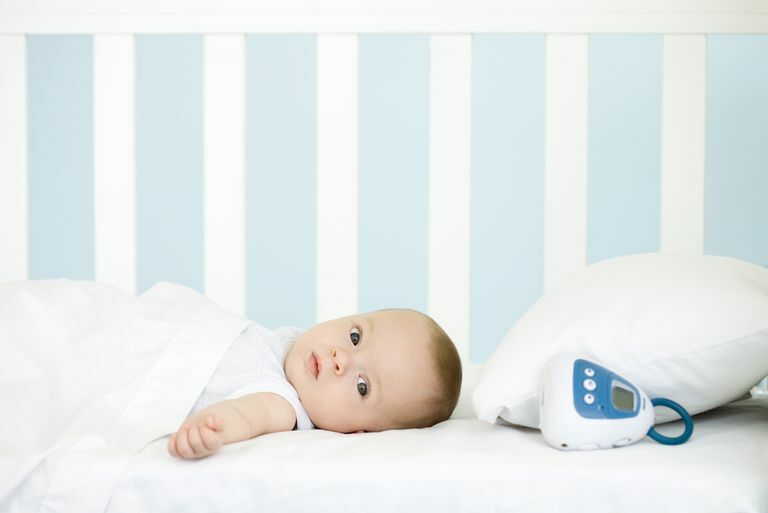 They may simply transmit sound from your baby's room to a base monitor and use night vision technology to allow you to look at your baby at all times. Non-contact baby monitors have usually focused on letting a parent or caregiver see or hear the baby, but newer models are taking the monitoring up a notch by promising to track a baby's heart and breathing rates as well. Raybaby, for example, is a non-contact monitor aiming to be the world's first to accurately monitor a heart rate and breathing. This is just one example of the push for more ways to use technology to keep a constant eye on our babies. As a parent, I certainly understand the strong urge to try to protect our babies no matter what. It's every parent's worst nightmare to consider the fact that a simple nap could turn deadly through an incident like SIDS. Technology gives us a way to feel like we are somewhat in control, especially with something as unpredictable as sudden infant death syndrome. But it's still important for us to know the research and recommendations supporting the use of baby monitors, both wearable and non-contact, and the American Academy of Pediatrics has actually released guidelines about their use. In an op-ed for the Journal of the American Medical Association, Dr. Bonafide explained that the market for baby monitors that sync to parents' smartphones, including monitors that use socks, leg bands, buttons, clip-ons, diapers, and even onesies, has rapidly expanded. The only problem is that the research needed to support the sale explosion of these monitors hasn't been done yet. So essentially, parents are snatching these monitors up faster than scientists can prove that they are safe, actually work, and are worth the money. In the piece, the doctor spoke of a situation where a family had brought a perfectly healthy newborn into the emergency room because the alarm had gone off on his wearable baby monitor and they didn't know why. It's that type of situation, the doctor noted, that can make the baby monitors very misleading. They can lead to false alarms and unnecessary money and testing being done on infants that don't need it. According to Dr. Bonafide, for normal, full-term, healthy infants, monitors that sync to a smartphone and alert them to potential dangers in a baby's breathing or heart rate are not necessary and may do more harm than good. Bonafide CP, Jamison DT, Foglia EE. The Emerging Market of Smartphone-Integrated Infant Physiologic Monitors. JAMA. 2017;317(4):353-354.